High heat resistance, high specific strength. 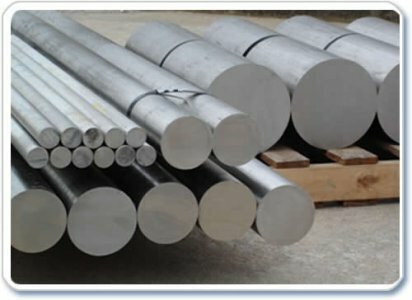 Alloy refers to medium-alloyed metals high plasticity. This facilitates machining: rolling, drawing and rolling, stamping, forging and other operations that are performed with the use of pressure. To use the alloy in the annealed, hardened thermal method condition. Optimal treatment involves annealing at a temperature of from 750 to 800 °C, cooling is performed in air. This results in maximum ductility. Hardness after annealing HB 10 -1 = 255 — 270 MPa. Maximum strength is achieved by quenching. It is held at a temperature of 780−800°C, and aging in the temperature range 450−550°C for up to 10 hours. Hardness after quenching and aging HB 10 -1 = 300 — 420 MPa. Supplier of titanium alloys offers only certified products. Technical documentation includes data on the chemical composition, mechanical properties of titanium mill products. We can buy circle, rod, sheet BT23] today, the price is adequate. You will be satisfied with the quality and price. Wholesale buyers of the company Electrocentury-stalmost to buy titanium products BT23] discount discount. Circle, rod, sheet BT23]: vendor Electrocentury-steel can be purchased wholesale or retail. On the website reflected the price and mix of products to date. Excellent product quality and reasonable price — face provider Electrocentury-steel. Regular customers can buy titanium products, BT23] taking advantage of the discount system of discounts from the supplier Electrocentury-steel. Delivery is carried out from warehouses located in Russia and Ukraine.